The pre-Black Friday sales are off to the races and Walmart has something on its website for those Windows Phone 8 fans looking for a deal. 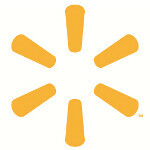 With a signed two-year contract, the deep discount retailer will sell you the Nokia Lumia 920 for just $49.99. 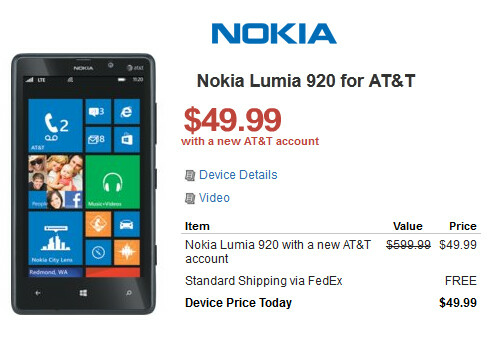 That is a good $50 less than AT&T's price for the flagship Windows Phone 8 model. Without a contract, the phone is priced at $699.99. You will have your choice of cyan, white, black and red. Shipping is free. Walmart is not done. With nothing more from the ink of you pen marking your signature on the same two-year contract, you can purchase the Nokia Lumia 820 without paying a dime for the mid-ranger. 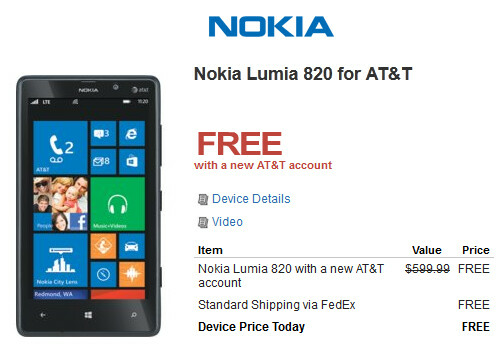 This is the second free Nokia Lumia 820 deal we've seen today as CompUSA is giving away the phone free to those who buy a Windows 8 PC or laptop. Bestbuy is also honoring retail and many dotcoms for the holidays. I had them price match this morning and got my 920 for $49.99. I love it so far. Does it include the wireless charger for free like the AT&T stores are giving? So, save some money and buy one for a review. Or it’s not available in Bulgaria yet? OMG!!! This is so friggin awesome! Oh how I wish this phone (Lumia 920) was on TMobile! I would love to try out a WP, but I already like Android a lot, so many choices haha. Hmmm.. the price without contract are a bit inconsistent among retailers. Best Buy offers $599, AT&T $450 (presumably still 'locked) and here Walmart offers $699. I'm kinda worry about the international price (sans Euro). Hopefully it won't past $599. Edit: I checked the links. And I didn't see the $699 for the off-contract Lumia 920 price. Was it a typo? Or did Walmart corrected the price? walmarts website also says they want 350 on contract for sprint gnex, im gonna assume there were some errors made somewhere. It says its a 920, but the one in the picture is definitely an 820. Somebody should fix that. How much do you pay a month/How good is your service? In the US we usually get it when it comes to the service end.